It seems so clich, but you truly must see this home to appreciate it. After vacating, the owners took this home virtually through a total interior makeover. From fresh neutral paint, to new, never lived on flooring, an updated kitchen complete w/ granite countertops, subway tile backsplash & new appliances, lighting, plumbing fixtures & it has been completely & thoroughly serviced. The list of updates is too vast to list. AND a BRAND NEW HVAC. Home looks, feels & even has that "new home smell. 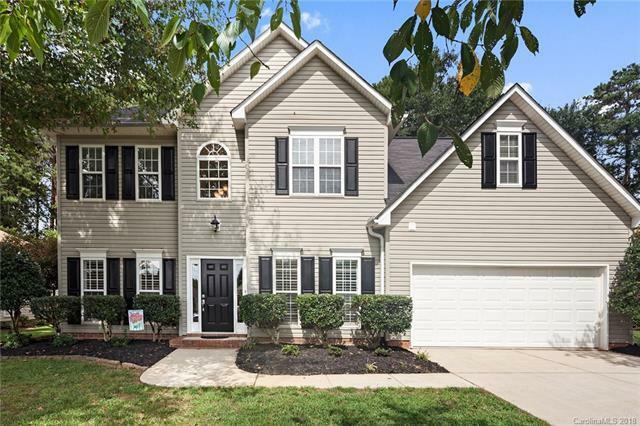 Situated on a quiet cul-de-sac in the "Gates @ Waterside Crossing community, this home sits on .3 acres w/ lrg stately oak trees, new landscaping and a partially wooded, private back yard that can be molded to your desires. Upstairs- an over-sized Master suite w/ dual vanity, soaking tub, glass enclosure shower & walk-in closet. Secondary BRs are roomy w/ ample closet space. Bonus room is large w/ 3 lockable storage access areas. Home has Stanley/Lincoln Co. address but situated in Denver. Offered by Real Lkn Living. Copyright 2019 Carolina Multiple Listing Services. All rights reserved.